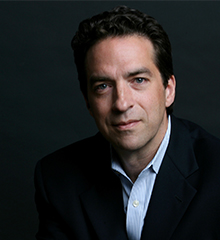 Noted Leadership Expert Adam Bryant Joins Merryck & Co.
Adam Bryant is a respected and noted expert on executive leadership, whose work includes 525 Corner Office columns for the New York Times. He joins Merryck as Managing Director and Partner after a distinguished career as an editor, reporter and columnist. “Adam has a proven ability to distill real-world lessons and insights from hundreds of CEOs, and we’re thrilled he is joining the Merryck team to help our clients deepen their leadership benches and strengthen their teams,” remarked Merryck Americas CEO David Reimer. Merryck & Co., the only global leadership-development firm that provides business mentoring by CEO’s and other top executives, is pleased to announce that noted journalist and leadership expert Adam Bryant has joined the firm as Managing Director. Bryant will continue to write on Leadership topics while working with the firm’s clients. Bryant was also a member of the team that produced the Innovation Report at The New York Times, which is widely considered a key inflection point in The Times' transition to a digital-first company. Bryant's work on leadership is used widely on college campuses, and he is a frequent speaker at business schools across the country. In addition to his consulting work on leadership development and mentoring, he teaches a leadership course at Columbia University on "The Practice of Leadership." Merryck & Co is the only global leadership development firm that provides business mentoring by former CEOs and other top executives. By bringing an operator’s perspective to executive development, Merryck Mentors are committed to helping current business leaders and their teams lead more effectively and build more successful businesses. The firm’s clients include some of the most successful executives within the highest-performing companies in the world, boards of directors, and select teams of individuals. The firm has offices in San Francisco, New York, London, Singapore and Sydney. For more information please visit: http://www.merryck.com. How to Be a C.E.O., From a Decade’s Worth of ThemAdam Bryant has interviewed 525 chief executives through his years writing the Corner Office column. Here’s what he has learned.